This deluxe Portobello Devon mug set is made from new bone china with a gloss coating which looks lovely and is ideal for everyday use. 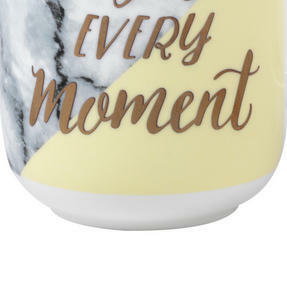 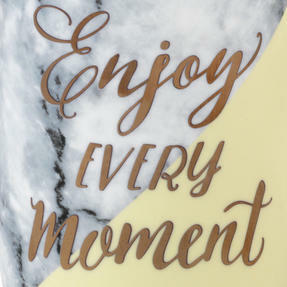 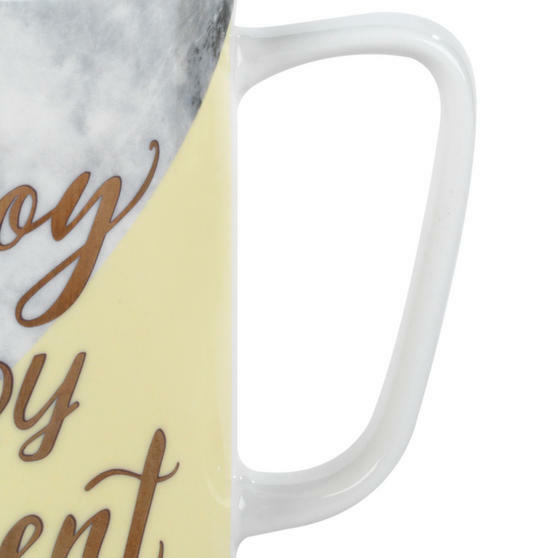 Featuring a gorgeous Live Laugh Love design and marble effect, it is a wonderful gift and the best way to enjoy a morning cup of tea. 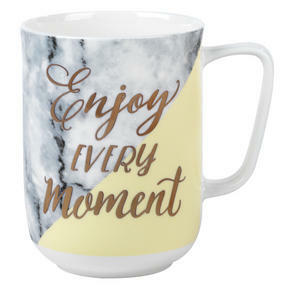 Made with the highest quality materials and featuring a real gold plated finish, these sophisticated mugs will suit any occasion. With a top diameter of 8.8cm and a height of 11.2cm, they comfortably hold 600 ml, perfect when you need to relax with a large coffee. 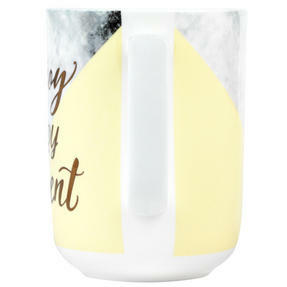 Whether for work, home or a friend, this delightful mug set is bound to impress, so you can enjoy a peaceful break wherever you are.